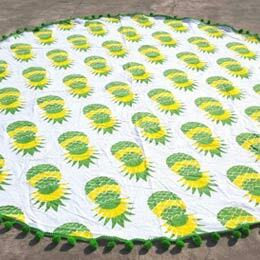 ROUND BEACH SHEET WITH POM-POM. 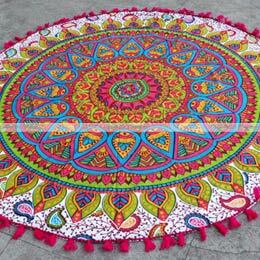 * Fringe: 100 % Cotton Multi Colored Pom Pom. 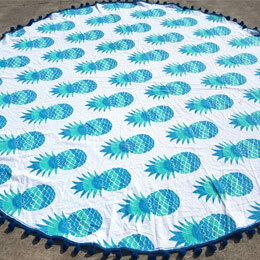 You can discover number of alternates at Fairdecor including round fringe beach towel, round beach towels, mandala tapestry and round tassel beach towel. * SIZE : Diameter Approx. 174 cms.